Well it's only one more week until the end of term 1. 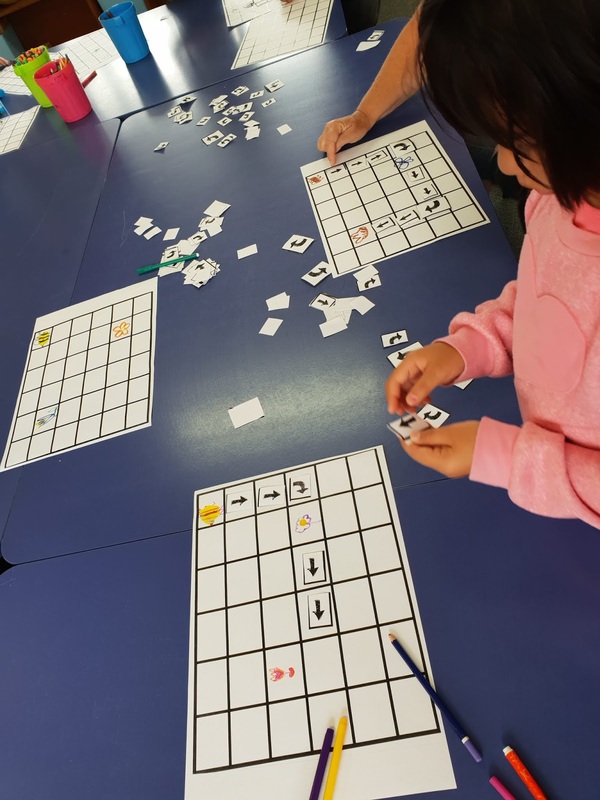 This term has flown by and I am very proud of the tremendous progress all the tamariki in room 14 have made!! Success is a great partnership between the child, teacher and their whanau. I captured some special photos to share with you all!! Javier recently 6. His mum Emily and sister Creyva brought in a delicious chocolate sponge cake for room 14 to share!! Alicia has spent time practicing her number 5's. I like the way Alicia motivates herself to be the best that she can be. This week all of Kaikohe West whanau farewell Mrs Nathan and Mrs Wallace. It will be very sad to see both of these amazing Kaiako leave. We wish them the best for their teaching careers. Have a great weekend. Swimming has now finished in room 14 as the water has become increasingly colder. Proud tamariki in room 14!! Well it's only 2 weeks until term 1 has finished!! I can't believe this term has flown so quickly. I am so lucky to have such an awesome class of motivated learners. Hone has moved to level 4 in his reading. Hayes has moved to level 9! Rahiri and Carlos are sounding more confident as they decode tricky words. I want to acknowledge Nanny Rachel who comes in and reads with Carter-Jay, Rahiri and Carlos Monday to Thursday. Nanny Rachel is so dedicated to the tamariki at Kaikohe West School and to the success and achievement of everyone! A few weeks ago we had Getwise ASB come to speak to room 14. He told us to spend some, save some and share some too. Melodee, Tavien and Daniel with their weekly certificates. Hayes got his name picked out of the white card box. He was lucky to get the chance to spin the wheel. He picked out a match box car. Hayes even won 200 points for TUNA. Carlos, Kip and Hone got their names picked out of the yellow card box because they were at school every day this week and they stayed off traffic light as well. Congratulations boys for your great attendance!! I have had a great week with room 14. Thank you to Mrs Neale for relieving on Tuesday when I was at home sick. I am very proud how room 14 has stepped up to the challenge this week by showing how they care for the community of Christchurch!! We made amazing cards of support for the tamariki who experienced the lock down at Linwood Avenue School . On Friday the whole school were silent for 2 minutes at 1.32 in memory of everyone who lost their lives in the Christchurch shooting on Friday 15th March. Rahiri received the SUPER star of the day on Wednesday. He has had a stunning week of learning. I am so proud of the amazing focused learner he is becoming!! Carlos, Rahiri with their certificates!! Both boys look so proud. Jade- from room 1 and Alicia had their names picked out of the yellow card box!! Yay a FREE book. Have a great weekend with your whanau. Labels: Alicia, Carlos, Kip, Rahiri. This week was a very sad week for room 14. After the tragedy in Christchurch, room 14 wanted to show Linwood Avenue School our support of encouragement. All the children brainstormed lots of supportive phrases we could use. We all wrote letters and words of support for the victims in Christchurch. KIA KAHA Christchurch. We are all thinking about you!! Our letters were posted of on Thursday. Have a great week. Please don't forget the 2 minutes of silence today at 1.40 in memory of the Christchurch tragedy. My post this week is to acknowledge my awesome whanau who went above and beyond the call of duty while we had our school noho last week. Javier's Mum and Dad were amazing. Both of them worked the entire Noho with our tamariki. Emily and Jevahn both cooked and cleaned, played games with the tamariki and encouraged and supported them to be the best that they could be during camp. Kip's mum Maree, was always on hand to support myself or Whaea Nicki with any last minute job to do. Maree was always helping out any way she could. I feel very honoured to have such wonderful parents supporting myself and their tamariki to succeed and never give up!! Matua Gus stayed over in room 16 for two nights. He is also very willing and happy to lend a hand to anything that benefits the tamariki of Kaikohe west School. So THANKYOU once again from myself and the children from Room14!! Wow, next week is our school camp Noho. I am so excited to have a 3 day sleep over at school. I will promise to look after your child and we will all make memorable memories together. I have captured some special photos over the last two weeks. Permission slips are required to be in by Monday please. Hayes wrote a stunning letter to his Mum and Dad. Douglas cares for his Mum such alot. This week, Carlos and Hone got their names picked out of the yellow caught being good box. I was so proud of them both!!! Javier received a certificate for showing more focus and attention to his learning. We also welcomed Carter-Jay to room 14!! Our school Noho begins next Wednesday!!! I hope you and your child is excited as much as I am!! This week room 14 were learning with Mrs Wallace in the makerspace room. They all had so much fun. They will be with Mrs Wallace again next Monday so they can learn more about manipulating robots and coding by becoming more creative!! Kip and Alicia with their certificates . Alicia is showing a great attitude and Kip is sharing more ideas with his teacher. Douglas was Star of the day on Friday because he always listen's to the teacher instructions the first time!! I am very proud of room 14, they are a fabulous class of amazing tamariki. Well I can't believe it is the end of week 3 already!! Melodee made a red heart for her Mum! Carlos got his name picked out of the yellow box. He won a FREE book. He was so excited!! Hone created some lovely art for his Mum. He spent a long time making it look perfect! Javier created a lovely red heart for his Mum. Our whole school sleep over is in 3 weeks time. It will be so exciting and tiring at the same time. It will be great to make lots of happy memories for the children in room 14!! On Valentine's day room 14 created awesome letters of love to their Mum and Dad. It was very precious. I was impressed how much effort all the tamariki put in. This week in room 14 we are slowly getting to know each other. What we like to do, who to ask for help if we come across a tricky word in reading or who is the most organised. I gave everyone in room 14 a term 1 newsletter on Friday, please make time to read it, if not I have posted it on the blog. I love room 14, let’s get this year moving. I am excited to be back at school, it’s going to be a simply amazing year. My name is Louise Birchall and I will be your child’s kaiako in room 14. I have been teaching at Kaikohe West for nearly 6 years. Our term one focus is centred on getting to know your child. What their strengths are and what we can do to develop a teacher to child relationship. Room 14 will be having a sleep over in week 6 this term. We will keep you updated on this. We will be establishing routines this term so our learning will be easier to implement and the children will feel comfortable in their learning space. Learning through play will be connected through all our curriculum areas! Your child will be bringing home their book bags Monday-Thursday and their poem book on a Friday. Basic sight words will be included, please read these on a daily basis. Your parental input is vital to a successful year of learning and achievement for your child. Teamwork= success!! I would really appreciate your support over the year, whatever you can do to support and motivate your child would be fantastic. Readers will be starting to go home from Week 3. Can you listen to your child read nightly please this help would be tremendous. 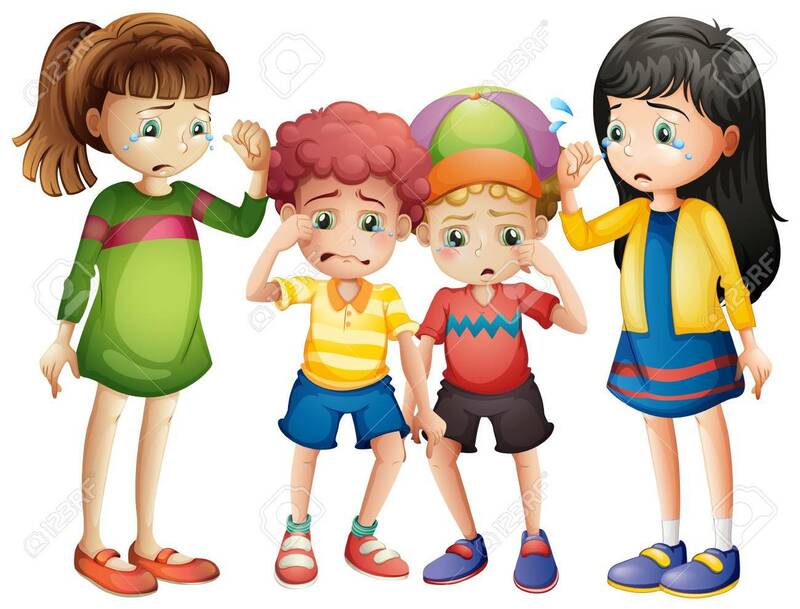 Swimming will start in week 2, our swimming days are Monday and Wednesday Please ensure your tamariki bring their togs,towel and swimming cap in a plastic bag on these days. Let’s all work together and have a great year at Kaikohe West School. If you have any questions please come in and hang out with us in rm14. We have an open door policy at school and always a hot cup of tea!! Sienna and Douglas received certificates on Friday. I found a cute photo of them. Sienna and Douglas are becoming role models for room 14. They both have a positive attitude towards their learning and never give up!! Remember we have swimming on Mondays and Wednesdays. Have a terrific weekend. See you all next week. I hope you have all had a great holiday, the weather has been fantastic!! We need some rain though! I am settled in and liking my new classroom. I have a fantastic bunch of tamariki this year... even 2 days in. They all seem excited to learn and ready for lots of new opportunties. I captured some photos in action over the last 2 days. Kip was excited to show his learning to everyone!! Your child requires their togs, towel, swimming cap all in a plastic bag! I do have spare swimming caps your child can use. Just a reminder Waitangi day is next Wednesday- school will be closed for the day and if you require another stationary list i will hand one out next week. Mrs Birchall and room 14. Well only 5 more days of school, until the end of the 2018 school year!! This year has went very quickly. Thank you for all your support for room 8 and for supporting your tamariki in room 8 through the year. This week our highlight was making home- made Ice cream. School kit and Dairy NZ gave us an assortment of ingredients. We used these to make breakfast ice-cream. Strawberry Powder, honey, Muesli, Porridge, Bakes Beans, Miso, Marmite and pineapple chunks. The children's favourites were Strawberry, Honey and Muesli. Room 1 and 2 senior children came to help Room 8 make ice-cream. We had so much fun and laughter!! We had so many awesome conversations happening between room 1 and room 8 children. The children were using specific science words! I loved hearing them talk between each other!! School kit and Dairy NZ you are simply the best!! Petra, helped Nesta and Hosea make icecream. Please don't forget we have Swimming on Monday, Tuesday and Thursday next week. There's only 10 days left of school. This term has flown so fast!! We are having parent/teacher interviews on Tuesday afternoon from 3:30-5:30. Straight after wards the whanau hui is beginning at 6pm at the Memorial Hall with Nanny Rachel Velden. She has organised this education hui to inform everyone involved what's happening around education for the tamariki in Kaikohe. I hope to see you all there, ready to support our children of Kaikohe. Amaziah and Frankie were in room 8 for the last 2 days. The boys received a certificate because they were so focused on their mahi. Santana, Alyssa and Hosea also received certificates for showing a great attitude to learning. I hope you have a great weekend with the whanau. 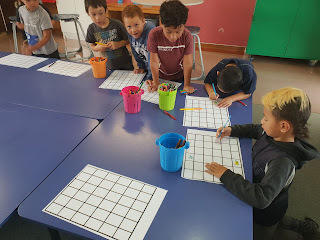 I hope to see lots of whanau at school on Tuesday afternoon so we can discuss your child's learning over the last 2 terms. We have had another busy week at school. Thank you so much to Mike, Rose, Apina and Jaraam for being whanau help while we went to visit Waitangi Muesum on Thursday. We had fantastic weather, No rain even!! All the tamariki had a fantastic time and learnt lots about our maori culture. Santana was turning 6 on November 24th. She was so excited, it was lovely to see how much Santana just loves having a birthday. Manga and Vicky received their class certificates and Santana received a birthday card from room 8.